What does it take to be a successful entrepreneur? The recipe for success is different for everyone, but one thing most entrepreneurs have in common is their drive to succeed. South Africa has no shortage of female businesswomen, but despite the major gains women have made in previously male-dominated industries, they still make up just 18.8% of business owners in South Africa. Ghana is the top-ranked country in Africa, with women accounting for 46.4% of business owners. South Africa is making progress, but there is still a long way to bridge the gap between male and female entrepreneurs. These five local women are proof that female entrepreneurs have what it takes to succeed in the business world. Basetsana Kumalo has come a long way since winning the Miss South Africa pageant in 1994. More than two decades later, Bassie, as she is affectionately known, remains one of the most recognisable faces in the country. The former beauty queen is now a media mogul, running several businesses, including a production company that produces one of South Africa’s most popular lifestyle TV shows, ‘Top Billing’. Basetsana is also CEO of Basetsana Woman Investment Holdings (Pty) Ltd. When the 44-year-old is not breaking glass ceilings, the philanthropist is giving back to her community. Basetsana champions causes that help improve the lives of women and children. Bassie is also passionate about assisting the next generation of female leaders through her mentorship programmes. There’s no stopping this mom-of-three, who is proof that women can have it all. Bonang Matheba has one of the most successful celebrity brands in the country. The 31-year-old has turned her star power into a lucrative brand that is worth millions. The Citizen reported in 2016 that Queen B, as her fans call her, was worth an estimated R7.2-million. Since then, Brand Bonang has grown even bigger. The TV and radio personality has used her social media pages (which have a combined following of over six-million) to successfully launch several business ventures, including her own cellphone app, emoji line (Bmoji), lingerie range (Being Bonang) and a limited-edition T-shirt line (Bonang by Bonang Matheba). Author, MC, reality star, TV presenter, and businesswoman - there seems to be nothing Queen B cannot do. So what next for South Africa’s media darling? The sky’s the limit. Lynette Ntuli, CEO of Innate Investment Solutions, is a force to reckon with in the property development industry. Those who know Lynette are not surprised by her success in the male-dominated sector. The Umlazi girl with big dreams showed her leadership potential from an early age. The Pavilion Shopping Centre – one of Kwa-Zulu Natal’s most popular malls – appointed Lynette as its GM when she was just 24. Ten years later and Lynette has earned her place in South Africa’s property and built-environment sector. "You can only imagine how white males who had been in the industry twice as long as I had been alive felt now that I was the client. I had to learn early in my career not to be afraid but to articulate my value while being mindful that I had to rely on the same [white men] to teach me. I had to be upfront about what I didn’t know,” she told the Financial Mail in a 2016 interview. According to a 2017 Business Report article, Wendy Appelbaum – co-owner of Chair De Morgenzen Wine Estate in Stellenbosch, is the richest woman in South Africa. The businesswoman’s net worth is a reported R2.6-billion and counting. It’s a far cry from the R105-billion South Africa’s richest man, Nicky Oppenheimer, is worth, but the massive amount also makes her one of the richest women in Africa. Wendy is often applauded for the huge contributions she makes to charities. The philanthropist has reportedly donated over R275-million. "The more you have the more responsibility you have to share it with those who don't,” Wendy said in a 2013 interview with City Press. Mining magnet, entrepreneur, fashion designer, and political analyst – these are just some of the titles Vanessa Gounden holds. She’s also the CEO of one of South Africa’s top investment firms, Holgoun Investment Holdings. The billionaire has said in interviews that her tough upbringing helped shape the woman she is today. Her family lost everything when Vanessa was 10-years-old. The apartheid government forcibly removed her family from the mixed-race area they were living in near Durban to a location that had very few facilities. Vanessa reportedly lived in a house with 14 children, six adults, and no electricity. “The relocation meant having to give up everything we had and for me, I think that’s what inspired me to want to be different, to make a difference and to break the glass ceiling that was imposed,” she told Marketplace Africa. From selling roses as a pre-teen to owning a billion Rand empire, Vanessa has not only broken the glass ceiling, she has shattered it to pieces. 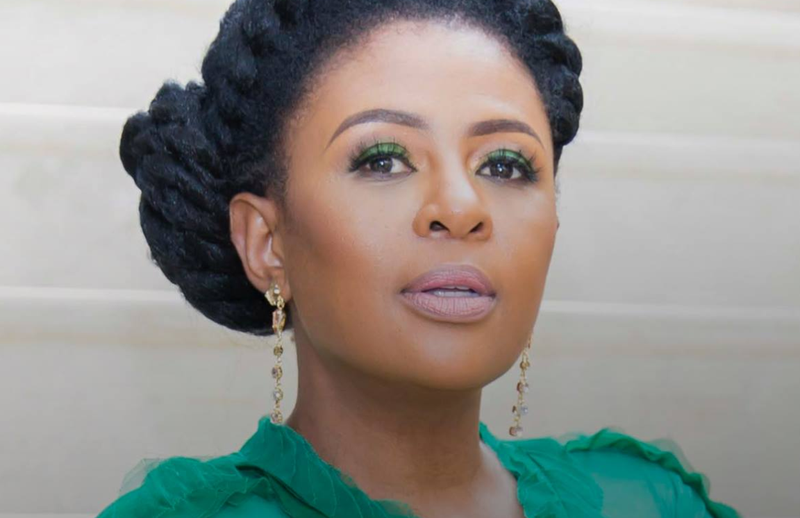 Basetsana Kumalo and Lynette Ntuli will be sharing their secrets to success at the FNB Business Women’s Breakfast in association with East Coast Radio on Monday, August 20. The sold-out breakfast, which will be held at Durban’s ICC from 10am to 1pm, promises to be a morning of inspiration and networking.